The cost of sequencing a genome is falling exponentially, putting vast amount of data in the hand of clinicians and researchers. This conference will teach you how to use that data for the benefit of your patients. It will introduce you to laboratories and scientists who can sequence entire genomes and help in prenatal diagnosis. It will teach you all about personalized medicine and how off the rack medicines will soon be forte and how you can group your patients more effectively for giving them individualized care. 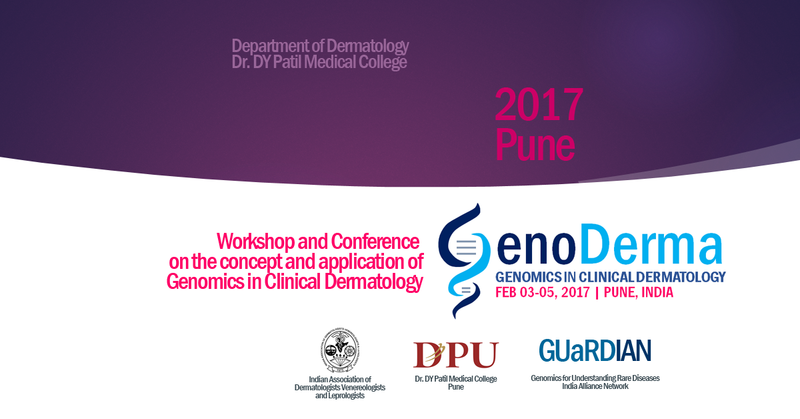 The conference will also touch upon the future of gene editing technologies which will soon render genodermatoses curable and how you can join the revolution. Intended for clinicians, students and scientists interested in learning the art of culturing melanocytes, keratinocytes and fibroblasts from human skin samples. This one of a kind workshop is totally hands on with practical modules on various cellular techniques available for treatment of disorders like vitiligo, burns, non healing ulcers, scars and for rejuvenative procedures for eliminating nasolabial folds and wrinkles.